Over the years I have learned a lot about herding electrons but now I would like to know if there is a recommended book/video/source on the physical side of aircraft wiring. Is there a legacy standard for how wiring is bundled, routed, secured and just generally mounted etc.? Thanks to Bob and all the others that I have learned from but just want to firm up my full understanding. OK, great information, thanks guys. As an aside I should have mentioned that I do have Bob's book and have been a follower on this list for quite some time. My wife thinks I should put a small Jesus like statuette of Bob up on the fireplace . . . te he he. 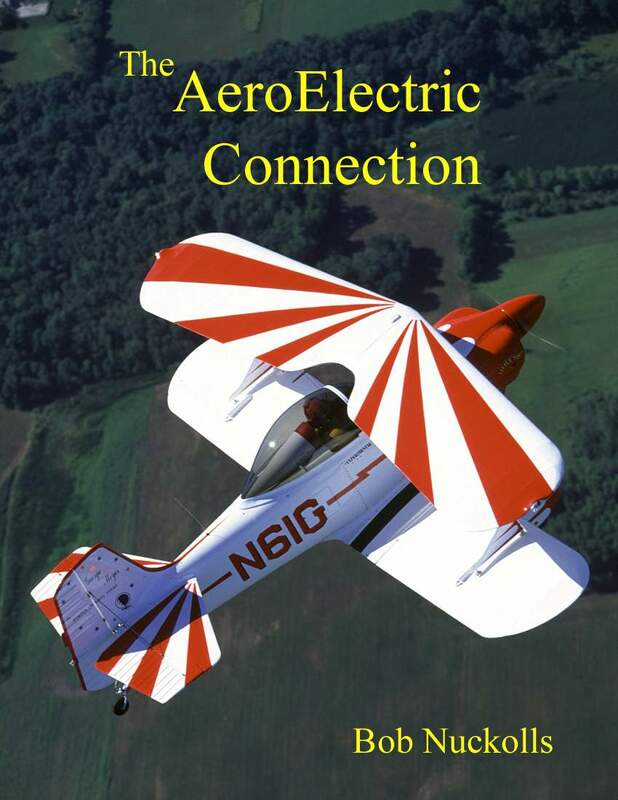 I think I have seen every page on the Aeroelectric web site and have compiled a small book on my own of helpful hints and tips. I was just looking for a school book type of reference to go through the finer details of "acceptable" wiring/electronic installations. you find our collective efforts so useful. it can't be done . . . so we go do it anyhow. by regulatory authority, is not golden. the document around with an invitation to comment. "Oh, by the way, you got 10 days." EAA members was submitted to the authors. attitude of healthy skepticism is a good thing. in the quest goes to making it happen. might be useful to compile a book of photographs. a visual library would speak volumes without a word. columns wide that shows each picture in brief. generate the .html from a text list of jpg file names. HTML gurus know of one? net searching. Seems there's a bunch of 'em. I'll try some . . . more or less at random . . .
unless anyone has some specific recommendations. clicking on the thumbnails brings up the original full size image. to modify to create whatever formatting you wish in the html. File is attached that includes the code. run repeatedly, say daily, or after adding photos. (requires root permission for this). variables are used to identify all executables called. Newbie here. Struggling with hardware and hardware placement issues also. I envision building my instrument panel with a 12 v and ground buss mounted on the back side. Only two power wires to remove instrument panel from aircraft. (sensor wiring etc. exepted) Is this a good Idea? 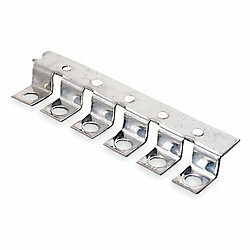 I have checked aircraft spruce and B&C, and can not find a good 12v buss for this purpose. B& C ground buss is nice, but no insulated buss. Do I just use a standard terminal strip with jumpers for this? Two pictures attached as sort of a test for my first post. The positive side would typically go thru some kind of "distribution panel"
such as a collection of circuit breakers and/or fuses. 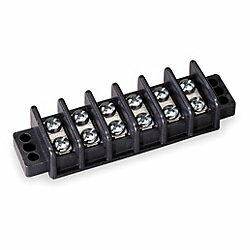 blocks that are bussed internally and have tab connectors for the load side. will turn-up hundreds of them. Thanks all for the quick responses. I think I was having a senior moment, but for two days? That's just not right. For some reason I was fixated on buss bars. I really like fuses and was planning on using them anyway. Problem solved. (2) 8 fuse blocks will easily do my main and essential buses. I'm using drawing z-11 as a guide. Bob, as to the aircraft, it is an avid. Two place tube and fabric with a metal firewall. It will have just the basic round guages, an EIS-4000 engine monitor, and a single panel mount radio and a transponder. Also Whelen strobe and nav lights wing tips only. Power supply for the strobes behind the baggage compartment. Fuel is gravity feed only. Electrical will be single alternator 60 amps or less. The only question I have left after all the good advice is where to mount that main and essential bus. I would prefer access to the fuses without pulling my cowling if possible. Firewall access is not great on this aircraft.